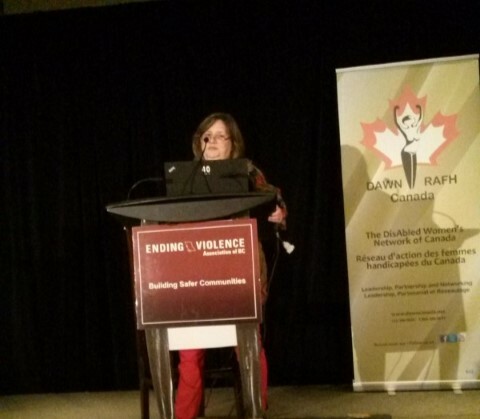 Bonnie Brayton, DAWN-RAFH Canada’s national executive director, will be delivering a keynote address at the EVA BC Annual Training Forum, which will be held in Richmond, BC from November 6-7, 2014. She will be speaking on the response needs of women with disabilities who are victims of violence. The full program is available here. Ending Violence Association (EVA) BC’s Annual Training Forum is a key professional development event for anti-violence workers in British Columbia. This popular forum brings together local and international experts to deliver keynotes and workshops that speak to emerging issues and best practices in the anti-violence field.